From the Toyota Prius, with its aerodynamic styling, to the 200 Hybrid System Net HP Camry Hybrid, one of the most fuel-efficient sedans in its class, Toyota hybrids are designed to create harmony between man, nature, and machine. 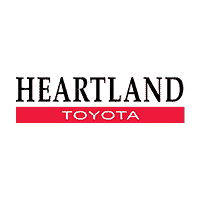 Explore all of the new hybrids, including the RAV4 Hybrid, Highlander Hybrid, Camry Hybrid, and the Prius and Prius Prime at Heartland Toyota in Bremerton, WA, and discover the legendary efficiency, reliability, and power for the 21st century. Which is the best hybrid car? No matter which of the Toyota hybrids you choose, you're guaranteed significant fuel savings, reliable and confident performance, and plenty of features for driving around Greensboro and beyond. For more information on these new Toyota hybrids or to schedule a test drive, contact our sales staff or visit.